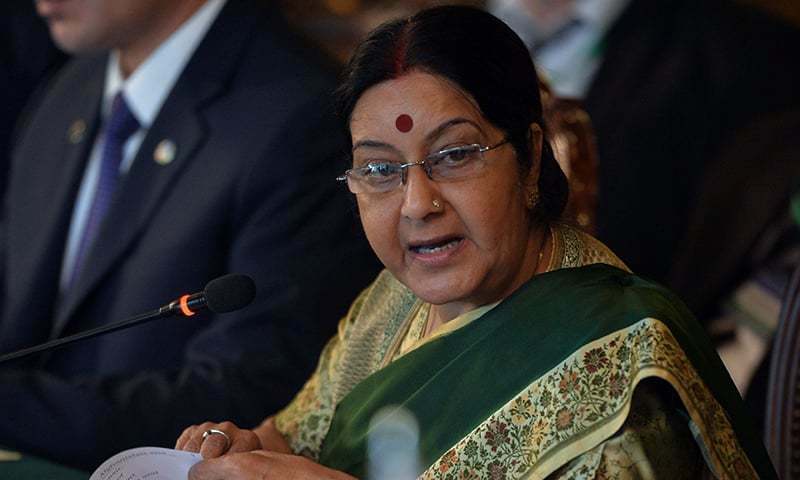 Indian External Affairs Minister Sushma Swaraj on Saturday sparked a row on Twitter after she responded to a tweet by asking for votes for the Bharatiya Janata Party (BJP). It began with a tweet from the president of the All India United Democratic Front, M Badruddin Ajmal, who thanked her for India’s decision to vote against the United States’ Jerusalem move at the United Nations. Swaraj’s tweet was met with a strong response from the Assam leader and several other Twitter users. India and 127 other members of the 193-strong United Nations General Assembly voted in favour of a resolution, which asked the US to withdraw its decision to recognise Jerusalem as the Israeli capital. The overwhelming vote against the US came even after US President Donald Trump threatened to cut off financial aid to countries that voted in favour of the resolution. Trump’s announcement broke with years of precedent on the sensitive subject and sparked bloody protests in the Israeli-Palestinian region. Israel considers Jerusalem an indivisible capital and wants all embassies based there. Palestinians want the capital of an independent Palestinian state to be East Jerusalem, which Israel captured in the 1967 war and annexed. A majority of countries do not recognise Israel’s claim to the whole of Jerusalem, where several Christian, Muslim and Jewish holy sites are located. The US had vetoed a draft of this resolution at the UN Security Council earlier this week.